The San Diego State Aztecs football team represents San Diego State University in the sport of American football. The Aztecs compete in the Football Bowl Subdivision (FBS) of the National Collegiate Athletics Association (NCAA) and the West Division of the Mountain West Conference (MW). They play their homes games at Qualcomm Stadium and are currently coached by Rocky Long. They have won nineteen conference championships and three national championships at the small college division. Coryell coached a total 12 seasons with the Aztecs, using the philosophy of recruiting only junior college players. There, he compiled a record of 104 wins, 19 losses and 2 ties including a total of three undefeated seasons in 1966, 1968, and 1969. His teams had winning streaks of 31 and 25 games, and won three bowl games during his tenure. It was at SDSC that Coryell began to emphasize a passing offense and he recounted, "We could only recruit a limited number of runners and linemen against schools like USC and UCLA. And there were a lot of kids in southern California passing and catching the ball. There seemed to be a deeper supply of quarterbacks and receivers. And the passing game was also open to some new ideas. 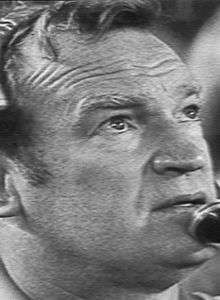 Coryell adds, "Finally we decided it's crazy that we can win games by throwing the ball without the best personnel. So we threw the hell out of the ball and won some games. When we started doing that, we were like 55–5–1. John Madden served as Coryell's defensive assistant at SDSC. Madden had first met Coryell attending a coaching clinic on the I formation led by McKay. "We'd go to these clinics, and afterward, everyone would run up to talk to McKay," said Madden. "Coryell was there because he introduced (McKay). I was thinking, 'If (McKay) learned from him, I'll go talk to (Coryell).' At San Diego State, Coryell helped develop a number of quarterbacks for the NFL, including Don Horn, Jesse Freitas, Dennis Shaw and future NFL MVP Brian Sipe. Wide receivers who went on to the NFL include Isaac Curtis, Gary Garrison, and Haven Moses. Coryell also coached two players who later became actors: Fred Dryer and Carl Weathers. Following the 1972 season, he moved to the NFL and became head coach of the St. Louis Cardinals. Faulk received an athletic scholarship to attend San Diego State, and played running back for the Aztecs. In one of the most prolific performances of his entire career, he ran all over the University of the Pacific in just his second collegiate game on September 15, 1991. In 37 carries, he racked up 386 yards and scored seven touchdowns, both records for freshmen (the 386 yards were then an NCAA record). "Faulk had scoring runs of 61, 7, 47, 9, 5, 8 and 25 yards." That performance sparked one of the greatest freshman seasons in NCAA history, gaining 1,429 yards rushing, with 23 total touchdowns (21 rushing), and 140 points scored. Faulk went on to better 1600 yards rushing in his sophomore year. In Faulk's junior season in 1993, he was finally able to showcase his all-purpose ability by catching 47 passes for 640 yards and 3 TDs to go with 1530 yards and 21 TDs on the ground. These numbers put Faulk 3rd in the nation in all-purpose yardage that year, and 2nd in scoring. After Hoke accepted the head coaching job at Michigan defensive coordinator Rocky Long was immediately named the new head coach. Rocky Long served as the head coach of New Mexico 1998–2008 where he compiled 65 victories and 5 bowl game appearances in 10 years. During his first 5 years as head coach of the Aztecs (2011–2015) he has led the Aztecs to 5 consecutive bowl games and won San Diego State's first MW title in 2012 (shared), followed by an outright MW Championship in 2015. As of January 1, 2016 he has a 43–23 overall record as head coach of the Aztecs with a 30–9 conference record. In 2015, San Diego State earned an 11–3 record under Long, culminating with an impressive 42–7 victory over Cincinnati. Since its inception in 1967, Qualcomm Stadium has been the home of San Diego State University Aztecs football. Qualcomm Stadium (formerly San Diego Stadium and Jack Murphy Stadium) is a multi-purpose stadium located in the Mission Valley area of San Diego, about 5 miles from campus. The campus and stadium have been connected by the San Diego Trolley since 2005. Qualcomm stadium has also been home to the NFL's San Diego Chargers since 1967, and also hosted the San Diego Padres from 1969–2003. It also hosts the National University (California) Holiday Bowl and the San Diego County Credit Union Poinsettia Bowl college football games every December. The stadium has hosted three Super Bowl games, two Major League Baseball All-Star Games, and two World Series. It is the only stadium ever to host both the Super Bowl and the World Series in the same year (1998). In 2015, the San Diego Chargers stepped up their efforts to relocate to Los Angeles, pending a vote of NFL owners and a partnership with the Oakland Raiders or then-St. Louis Rams. In the face of this development, contingency plans have been generated for the future use of the current Qualcomm Stadium site in Mission Valley. One proposal that has been put forward by State Senator Marty Block is for San Diego State to take over use of the site in order to expand the campus and also provide for a new multi-use 40,000 seat stadium for Aztecs football and an MLS team. On January 13, 2016 the San Diego Chargers gained approval by the NFL to join the Rams in a move to Los Angeles. It is not currently known if the Chargers will vacate their current home at Qualcomm Stadium in Mission Valley, nor has a deal been approved for San Diego State to take over the site in order to extend the campus or to build a new football stadium. SDSU is 7–7 all time in post-season bowl games. They first went to a bowl game in 1948 and first won a major-college bowl game in 1969. (#) Ranked in the AP Poll. * In November 1981 San Diego State played the Air Force Academy in the Mitsubishi Mirage Bowl in the Tokyo Olympic Stadium, Tokyo, Japan which was a regular season game sponsored by the Mitsubishi Motors. Although listed here as a bowl, it is not considered a sanctioned bowl and does not reflect on SDSU's all-time bowl record. The team accompanied by the Aztec Marching Band and fans walk from the stadium parking lot to the tunnel which leads the team onto the field. This usually occurs two hours before kickoff. No other opponent has a more extensive history against SDSU. 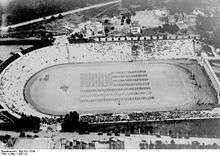 The Fresno State-San Diego State rivalry, also known as the Battle for the Oil Can, dates back to 1923 when the two teams competed in the SCJCC. The Aztecs winning the initial meeting 12–2 at home. Since then, the sides have met 51 more times, including every year from 1945–79, when the two competed in the same conference or were independents. After not facing one another between 1979–1991, the schools resumed the annual series from 1992–98, when both were members of the Western Athletic Conference. The two teams have met twice since then, in 2002 and 2011. With Fresno State joining the Mountain West Conference in 2012 and the addition of the divisional format, the Aztecs and the Bulldogs will compete on an annual basis once again. One of the most memorable games between the two schools was known as "The Fog Bowl" in 1962. The fog was so thick that the Aztec radio announcer at the time Al Couppee couldn't see the plays, so he went down to the field and into the huddle to give the play-by-play. The Aztecs won the game 29–26 in a thrilling fashion. The two schools started competing in 2011 for the Oil Can trophy. The Oil Can trophy comes from a 1930s-era oil can hailing from Fresno that was found at a construction site at San Diego State. "The oil can likely came from a time when Aztec and Bulldog fans traveled to football games between the two schools via the old, twisting, precipitous Grapevine section of Highway 99 over Tejon Pass," said Jacquelyn K. Glasener, executive director of the Fresno State Alumni Association. "Cars in those days carried extra oil and water to be sure they could make it through difficult trips," added Jim Herrick, executive director of the San Diego State Alumni Association. The game was dubbed by fans the Battle for the Oil Can. The first trophy game was played in 2011. The Aztecs were favored but however they found themselves trailing 21–0 in the first half. They battled back scoring four unanswered touchdowns to win 35–28, with Ronnie Hillman scoring the go-ahead touchdown in the fourth quarter to win the game. The Aztecs ended the season with an 8–4 record and made it to the New Orleans Bowl and the Bulldogs ended the season 4–8. San Diego State leads the all-time series with a record of 27–22–4, including a 14–11–2 mark in San Diego, Fresno State leads the trophy series 3–2. In 2016, the series is tied. The BYU-San Diego State rivalry dates back to 1947 when they met for the first time in San Diego and the Aztecs won 32–7. When the Aztecs joined the WAC in 1978 the two teams started playing on an annual basis. In their first conference meeting the Aztecs suffered a disappointing loss 21–3 at Brigham Young. The next year San Diego State was 8–2 and were looking for a Holiday Bowl berth after coming off a 42–20 win over UTEP. However the Aztecs suffered a 63–14 loss at home and lost the Holiday Bowl berth. In 1986 the Aztecs looked to return the favor when they beat the Cougars 10–3 and clinched a Holiday Bowl berth. The most notable game in the history of these two schools meeting each other was the game in 1991 known as "The Tie." The Aztecs had a commanding lead over the Cougars 45–28 led by the high powered offense of Marshall Faulk and quarterback David Lowery. However Ty Detmer and the BYU Cougars fought back and tied the game 52–52. The Aztecs ended up with an 8–4–1 record and lost the Holiday Bowl berth and the WAC title. The Aztecs avenged the 52–52 tie when they traveled to Provo the next year and beat the Cougars 45–38. Marshall Faulk ran for 299 yards in that game and scored 3 touchdowns. Since then the two have met for a total of 36 times. In recent years BYU has dominated the Aztecs who have only beat the Cougars twice since 1998. Brigham Young leads the all-time series 28–7–1. In 2011 the Cougars left the Mountain West Conference for independence and have played the Aztecs once since then, in the 2012 Poinsettia Bowl. The two teams are not scheduled to play in the near future, unless they are paired in a bowl game like they were in 2012. John Fox – Current NFL head coach of the Chicago Bears, former NFL head coach of the Carolina Panthers and the Denver Broncos, former Aztec player. La'Roi Glover NFL 14 year defensive lineman for Oakland Raiders, New Orleans Saints, Dallas Cowboys, St. Louis Rams. Inducted into the Saints Hall of Fame. Multiple Pro Bowl and All Pro seasons. Current Director of Player Engagement for Los Angeles Rams. ↑ The full seating capacity is 71,294, but San Diego State normally restricts capacity to 54,000. ↑ "San Diego State Conference Championships". ↑ "San Diego State Recognized National Championships". ↑ "Don Coryell named head coach of St. Louis grid Cards". Bangor Daily News. (Maine). Associated Press. January 19, 1973. p. 16. ↑ Times, Samantha Stevenson, Special To The New York (1990-12-02). "COLLEGE FOOTBALL; Miami Survives Scare and Brawl". The New York Times. ISSN 0362-4331. Retrieved 2016-01-21. ↑ "Miami survives scare by Aztecs". Eugene Register-Guard. (Oregon). wire reports. December 2, 1990. p. 4G. ↑ "Senator says SDSU should take over Qualcomm Stadium". The Daily Aztec. Retrieved 2016-01-19. ↑ "San Diego State Bowl History". College Football Data Warehouse. Retrieved 2012-11-30. ↑ "2012 San Diego State Football Media Guide by Jamie McConeghy". issuu. Retrieved 2016-02-20. ↑ 1 second ago. "San Diego State Official Athletic Site - Football". Goaztecs.cstv.com. Retrieved 2016-02-20. ↑ "NFL - Players Rosters - National Football League - ESPN". Espn.go.com. Retrieved 2016-02-20. ↑ "San Diego State Future Non-Conference Schedule".